Christian Louboutin Back in Court Today! The case is not over yet! Christian Louboutin’s lawyers urged U.S. District Judge Victor Marrero in New York not to convert his earlier refusal to bar Yves Saint Laurent from selling its own red-soled shoes into an outright cancellation of the U.S. trademark. 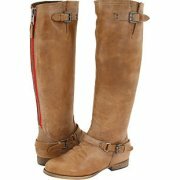 The judge said today he will delay a ruling while Louboutin appeals his decision. “The better course is to simply allow the appeal to proceed and halt any further proceedings till we get guidance” from the New York-based federal circuit court, Marrero said. The judge on Aug. 10 rejected Christian Louboutin’s request for a preliminary injunction to protect the trademark while the case proceeds, saying it’s not likely to win its fight for a trademark for a color. Lee C. Bromberg, a lawyer for Louboutin, argued today that the company needed more time to show why the trademark shouldn’t be canceled. “We need an additional opportunity to marshal evidence,” Bromberg told the judge. He said he seeks evidence on how the fashion industry operates, how designers select colors and whether Louboutin’s trademark would be a “hindrance to competition,” as the judge indicated in his ruling. Jyotin Hamid, a lawyer for Yves Saint Laurent, argued that a search for evidence would be time-consuming and costly. Yves Saint Laurent began selling shoes with red outsoles “long before Mr. Louboutin began using them,” David Bernstein, a lawyer for the company, said at a hearing last month. 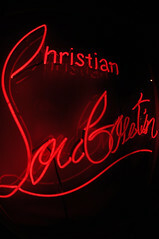 Christian Louboutin, the designer for whom the company is named, got the idea for the red soles when he painted red nail polish on the black soles of a pair of women’s shoes. 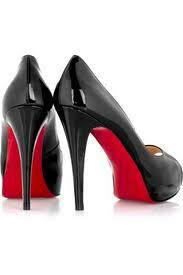 All of Louboutin’s luxury shoes have had red soles since their introduction in 1992, according to court papers. 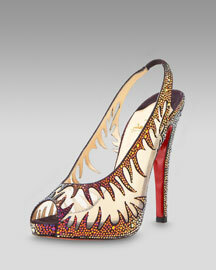 “Louboutin is only in the shoe business,” Bromberg said. 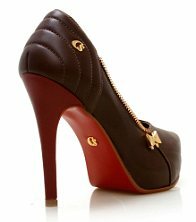 The U.S. Patent and Trademark Office awarded Louboutin a trademark for the red sole in 2008, according to the company’s complaint. YSL “Winning” vs. Christian Louboutin in the Case of the Red Soled Shoes! This just in: Christian Louboutin‘s request for an injunction to stop sales of red-soled shoes made by Yves Saint Laurent has been denied by U.S. Federal judge, Judge Victor Marrero, who said that Louboutin wasn’t able to prove that its red soles deserve trademark protection. With the injunction denied, it looks unlikely that Louboutin will win its case against YSL, since it too relies on the association of the red sole only with Louboutin. 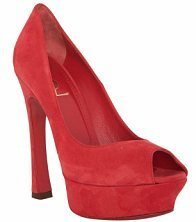 Note: YSL claims that the YSL red- soled shoes in question have been selling since 2004.